Watch our fun, inspiring video! Since the early 1920’s believers have added their voices to a chorus, written by George Willis Cook. I’ve got the joy, joy, joy, joy, down in my heart, down in my heart, down in my heart… You may be able to finish the chorus for yourself. It is a timeless song, because we all desire to have joy in our life. The fact that people search for Bible verses about joy, reminds us that joy can be elusive. Joy, like any other attitude, can come and go. It is not guaranteed simply because we are believers. We must put ourselves in the places where experiencing joy is a possibility. Studying joy in Scripture helps build an understanding of how to put ourselves in places where it is possible to find and maintain an attitude of joy. But what is this elusive thing called joy? According to Dictionary.com, joy is “the emotion of great delight or happiness caused by something exceptionally good or satisfying.” This is nice but we could experience this by eating bacon. Is there a better definition? So how can we put ourselves in the place where exceptionally good things happen and our soul is supported under troubles? 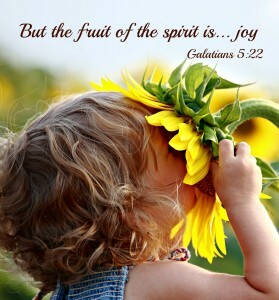 We can discover some very important principles by categorizing joy verses. There are 214 uses of the word joy in the NIV. Of those verses, nearly a quarter of those verses are found in the Psalms. For this reason, we can establish our principles of joy from the Psalms, then finding corresponding Bible verses about joy in other sections. Here is what we learn from what the Bible says about joy. 1. Joy is not an emotion that can be forced, fabricated, or faked. There are times when joy eludes us. This is normal and we need to understand that there are times when we will not feel joyful. Yet, it is important that joy cannot be forced. There on the poplars we hung our harps, for there our captors asked us for songs, our tormentors demanded songs of joy; they said, “Sing us one of the songs of Zion!” How can we sing the songs of the Lord while in a foreign land? – Psalm 137:2-4 (NIV). For in the day of trouble he will keep me safe in his dwelling; he will hide me in the shelter of his sacred tent and set me high upon a rock. Then my head will be exalted above the enemies who surround me; at his sacred tent I will sacrifice with shouts of joy; I will sing and make music to the Lord. Hear my voice when I call, Lord; be merciful to me and answer me. – Psalm 27:5-7 (NIV). 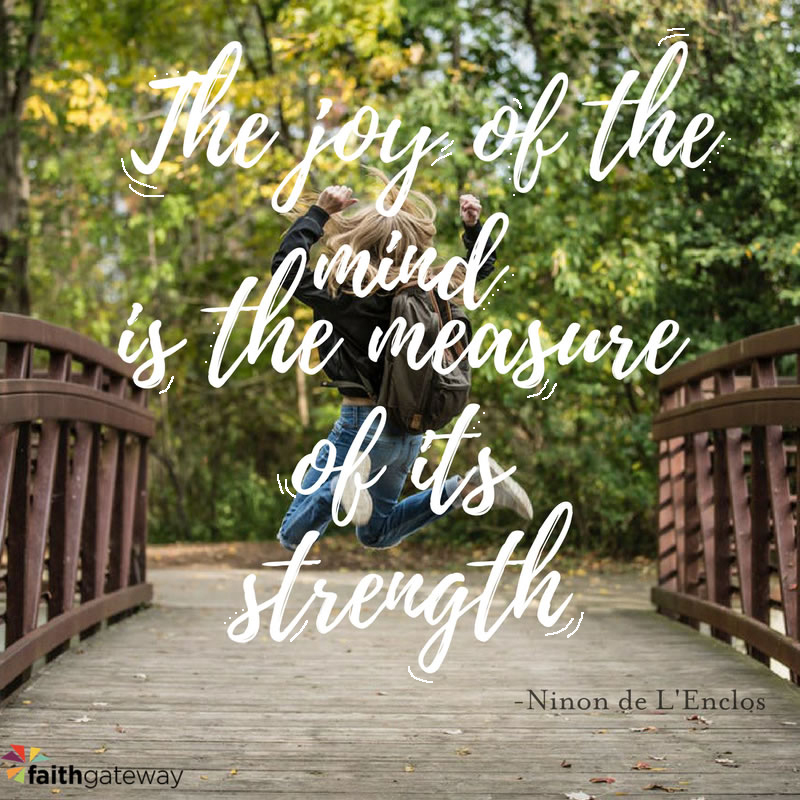 Though joy cannot be forced, it can be experienced in difficult situations. James adds to this thought with, “Consider it pure joy, my brothers and sisters, whenever you face trials of many kinds, because you know that the testing of your faith produces perseverance.” – James 1:2-3 (NIV). 3. Joy is possible when we feel secure in the Lord. While others link their happiness to prosperity, believers can find joy in the Lord. When we add our voice to David’s and proclaim, “You alone, Lord,” will be the lifter of my head. In you alone will I place my trust. Whether I am rich or poor, have an active career, or I can’t find a job, I am safe in you. 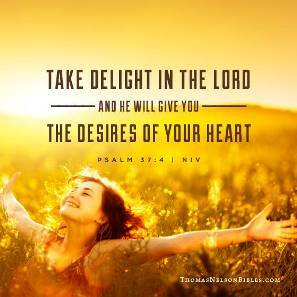 Paul wrote, “Be full of joy in the Lord always. I will say again, be full of joy. Let everyone see that you are gentle and kind. The Lord is coming soon” Philippians 4:4-5 (NCV). 4. Joy comes when we have a clear direction for our life. Jesus said, “The kingdom of heaven is like treasure hidden in a field. When a man found it, he hid it again, and then in his joy went and sold all he had and bought that field” – Matthew 13:44 (NIV). Where is your hidden treasure? What is the path of life that God has for you? Are you seeking the fields for the treasure that God has for you? 5. Joy comes when we live in God’s presence. Through the victories you gave, his glory is great; you have bestowed on him splendor and majesty. Surely you have granted him unending blessings and made him glad with the joy of your presence. For the king trusts in the Lord; through the unfailing love of the Most High he will not be shaken. – Psalm 21:5-7 (NIV). In a world where celebrity, success, and money are glorified, it is easy to lose focus on what brings real joy. Put simply, this verse says, victories are good, glory is great, and splendor and majesty are their results, but my joy comes when I spend time in God’s presence. Psalm 28:6-8 is another great text to illustrate this point, but let’s move joy Bible verses found in the New Testament. To him who is able to keep you from stumbling and to present you before his glorious presence without fault and with great joy— to the only God our Savior be glory, majesty, power and authority, through Jesus Christ our Lord, before all ages, now and forevermore! Amen – Jude 1:2-5 (NIV). How can we thank God enough for you in return for all the joy we have in the presence of our God because of you? – 1 Thessalonians 3:9 (NIV). 6. Joy comes when we spend our life Praising God. This principle may be the easiest one to embrace since church worship is filled with praise. But, let’s establish a Biblical pattern of praise. 7. Joy comes when we live an honest Biblical life. Perhaps the idea of honesty doesn’t seem to fit with principles of joy, but let’s look at the opposite side briefly. Dishonesty leads to guilt, and discouragement, while honesty breeds satisfaction, and peace. When we add the concept of Biblical honesty, then we discover true joy. Jesus offers his slant on being Biblically obedient. He says, “If you keep my commands, you will remain in my love, just as I have kept my Father’s commands and remain in his love. I have told you this so that my joy may be in you and that your joy may be complete. My command is this: Love each other as I have loved you” – John 15:10-12 (NIV). These Bible verses prove there is no greater place to live than in the center of God’s will. There is no way to be in the center of his will without living according to the word of God. An honest Biblical life leads to a joyful life. 8. Joy comes when we continually praise what God has already done. Not only does reflection fill us with joy, it makes us glad. But Psalm 126 adds the dimension of joyous laughter. Paul writes about the reason for remembering. “I know whom I have believed, and am persuaded that he is able to keep that which I have committed unto him against that day” – 2 Timothy 1:12 (KJV). Of all bible verses about joy, perhaps no passage speaks to the joy of remembering better than in Hebrews 12. Therefore, since we are surrounded by such a great cloud of witnesses, let us throw off everything that hinders and the sin that so easily entangles. And let us run with perseverance the race marked out for us, fixing our eyes on Jesus, the pioneer and perfecter of faith. For the joy set before him he endured the cross, scorning its shame, and sat down at the right hand of the throne of God. Consider him who endured such opposition from sinners, so that you will not grow weary and lose heart. – Hebrews 12:1-3 (NIV). 9. Joy comes when people see Christ in us, and exclude us from their ungodly actions. A similar situation of opposition occurred in the book of Acts: “So the message of the Lord was spreading through the whole country. But the Jewish people stirred up some of the important religious women and the leaders of the city. They started trouble against Paul and Barnabas and forced them out of their area. So Paul and Barnabas shook the dust off their feet and went to Iconium. But the followers were filled with joy and the Holy Spirit” – Acts 13:49-52 (NCV). There are several other instances where Paul encouraged people who were insulted or rejected because of their faith. He always encouraged them to be joyful because they were suffering on behalf of Christ. When people don’t want you around because of your faith, celebrate joyfully. You are being excluded because they see Jesus living in you. Refer back to these Bible verses about joy to remind yourself that you are worthy of feeling joy and you are protected by Jesus’s love. My friends, do not be surprised at the terrible trouble which now comes to test you. Do not think that something strange is happening to you. But be happy that you are sharing in Christ’s sufferings so that you will be happy and full of joy when Christ comes again in glory. When people insult you because you follow Christ, you are blessed, because the glorious Spirit, the Spirit of God, is with you. – 1 Peter 4:12-14 (NCV). We hope you enjoyed these Bible verses about joy! With all we have observed, joy is a huge part of Biblical faith. There are many more principles in the scripture that we could observe. What principles of Joy would you add to this list? 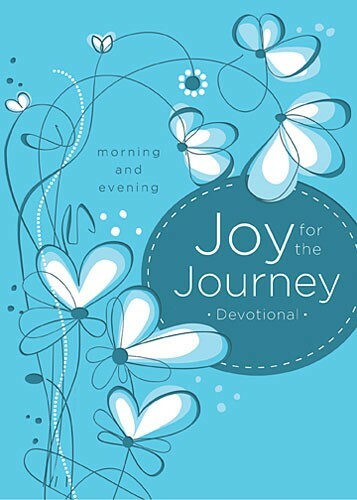 What Bible Verses about Joy did we miss? Leave a comment – we’d love to hear from you. Could you use more joy in your day-to-day life? Want to encourage others to live joyfully? Here are some of our best resources on joy! 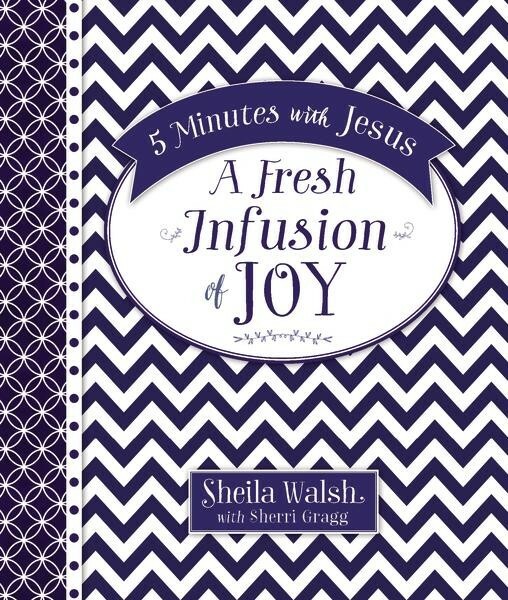 Reaching out with joy-filled reminders from the Word of God, these devotions will intimately and gently connect you with Jesus. He has more for His followers than a life of striving, pain, and discontent. Whether you’re facing mundane routines or painful hardships, joy often feels out of reach. But those who know Jesus can live joyfully, no matter what—it’s a gift that can only come from God. 40 simple prayers that bring joy and serenity…Some friends are closer than family. They weave their way into our lives, there to celebrate the highs and comfort us through the lows. 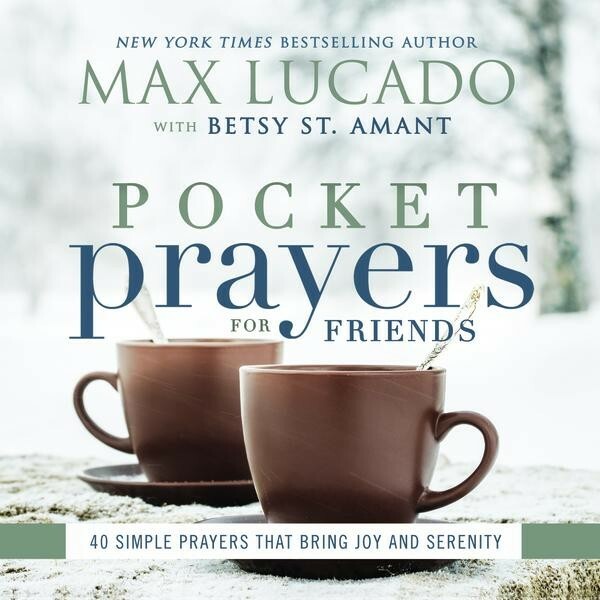 And for those special friends, Max Lucado offers theses scriptures and guided prayers that offer joy. Every woman could use daily inspiration, and this beautifully packaged devotional offers enough for an entire year—twice a day! 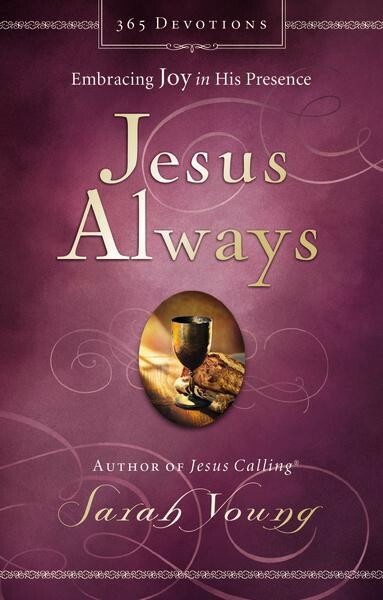 Each morning offers a devotional from bestselling women authors such as Sheila Walsh, Beth Moore, and Lysa Terkuerst, and the evening follows with applicable scriptures to complete the day.